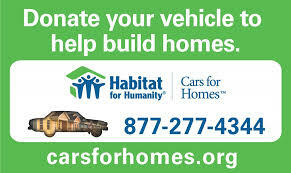 Habitat for Humanity of Greater Centre County is a nonprofit, nondemoninational housing ministry. Habitat welcomes all people -- regardless of race, religion, ethnicity or any other difference -- to build simple, decent, affordable houses with those who lack adequate shelter. We construct quality houses that are sold to homebuyer families through no-profit, no-interest loans. Homebuyers complete 350 sweat-equity hours and other requirements, pay for their homes and all upkeep, and maintain current payments on their properties. Additional information for ReStore can be found by clicking here.